Is Your Swim Holding You Back In Triathlon? No Problem! Featuring Clayton Fettell and Annabel Luxford – Two of triathlons fastest swimmers. There’s more than one way to swim fast. Learn how to identify which type of freestyle suits you best, and how to master that style for better speed and efficiency. Whether it be an Effortless style like Clayton or a Tempo style like Annabel – you can transform your swimming. What triathletes are saying about the course! What is the Art Of Triathlon Swimming? Here at Effortless Swimming we’ve worked closely with hundreds of athletes at our freestyle clinics and one-on-one sessions. We’ve seen every style of freestyle you can imagine, from beginners to professionals and everything in between. 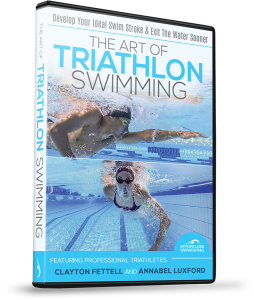 We have condensed our swim improvement system into the Art Of Triathlon Swimming video program, so you get access to our program wherever you are in the world. The course features professional triathletes Clayton Fettell and Annabel Luxford and Australian swim team physio Helen Walker, because our philosophy stems from modelling the best in the sport. You’ll learn what it takes to go from beginner to reaching your full potential in the swim leg. Whether that’s simply being confident starting in a pack or dropping fifteen minutes from your Ironman swim time, it’s all covered in The Art Of Triathlon Swimming. Note: The course is 100% digital and delivered online so you get access right away. It is not a physical DVD. 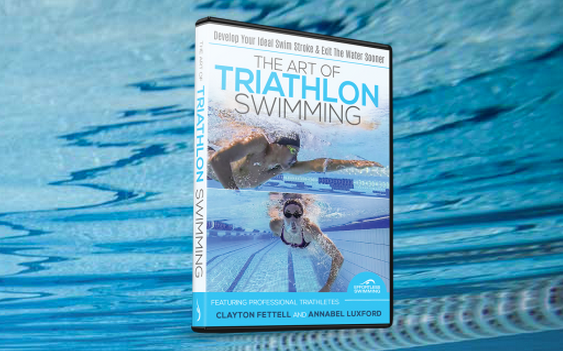 The Art Of Triathlon Swimming is 100% digital, meaning you can stream it from any device and access it right away from your computer, tablet or phone. This means there’s no waiting around for DVD’s to arrive in the mail. This course is ideal for anyone who’s been swimming for longer than 6 months. As long as you have some experience in the water and you can swim 100m without stopping, this course will help. If you’re a beginner we recommend adult learn to swim lessons in your local area before trying the program. As with all of our online programs, if you haven’t learnt at least one thing that will help you swim faster with less effort just contact us at [email protected] for a full refund within 30 days. We offer a 30 Day Money Back Guarantee, so joining is risk free.